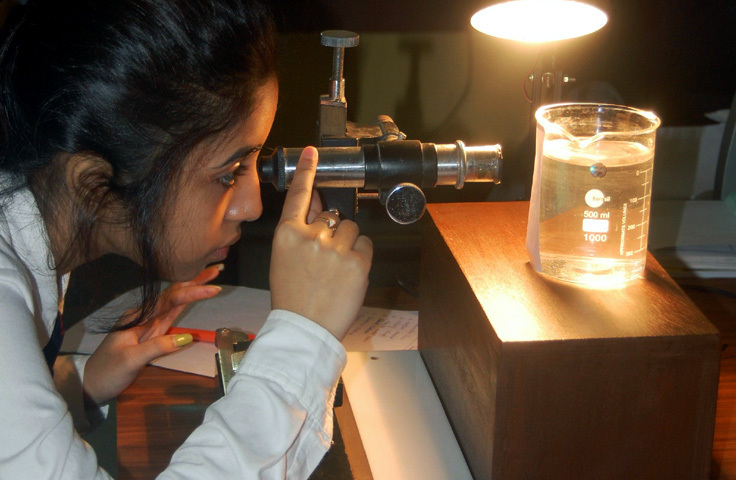 From the vision and venture of some dynamic and optimistic visionaries and enthusiasts, since 1998, Vidyasagar College of Optometry & Vision Science of has developed itself into a confident optometry institution - making it one of the torch bearers of optometry of its kind in India, dedicated to promoting the science of optometry. The college is a forum of educationists, scientists, professionals and benefactors, in Eastern India, working for the development of optometric education and research for the advancement of professional practice in vision care. VCOVS was founded in the year 1998 with the aim of providing higher education in optometry, the first of its kind in Eastern India. VCOVS is a non-profit, non-governmental organisation, registered under the Society Registration Act (1961), Govt of West Bengal. It is a temple of Education that worships Knowledge as God & it is solely dedicated to delivering quality Optometry education with right professional attitude to reach the goal of Prevention of Blindness through Vision 2020: the right to sight. The institute has set a benchmark in creating successful optometry graduates every year with full placement in India & abroad since 2001 under West Bengal University of Technology approved by Government of West Bengal. The campus is located at the heart of the city (Eastern metropolitan bypass) within easy road communication & in the vicinity of peaceful environment free from the noise of the city. It is a multi-storeyed campus with excellent infrastructure & its own clinic running six days a week. The institute has a high Teacher to student ratio & promotes learning with equality and passion. Copyright © 1998 - 2015 Vidyasagar College of Optometry and Vision Science. All Rights Reserved. Website Design and Layout by Deepayan Kar.